Every day there is a new article and news story about how some product causes cancer. Products we have been using for years without any problems. How do you know what is safe and what isn’t safe? This article is about deodorant though and if using it is leaching ingredients into your body that are causing harm and only topically beneficial. But anything that you put on your body is going to be absorbed into the body. There are plenty of natural options out there, but do they work as well? Do they keep you as dry and odor free as the brands we are so used to? Consider this, there are people who wear clinical strength deodorant because regular strength doesn’t keep them comfortable and they may sweat excessively. Will a natural product work for them? Some even consider Botox injections in their sweat glands to prevent the sweating, and those are extreme cases. But when you are working on protecting yourself you also want to be safe. We’ve gathered for you some information regarding the use of deodorant and if it contains any cancer-causing ingredients that you might want to keep away from your body. If you are considering switching to a natural deodorant because you are concerned, read on. While there are plenty of studies right now that we will go into that will say there is no cause for concern, where did the information come from in the first place? Is it reputable? The basis behind the study is correlation though, which does not show a cause and effect. Correlation just shows a relationship between two things, without, many times, taking into consideration the myriad of other factors that could also affect the results. According to researcher Philippa Darbre, she stated in 2001 that underarm cosmetics “might” contribute to cancer and that more breast cancer was seen in the upper outer quarter of the breast near the armpit. There was an email that went around years ago, primarily when that study was shown, that started the fear for women. The claims that the email stated were largely untrue and have no historical background. The email wanted to show how the ingredients entered the system. It claimed that shaving and then putting on deodorant caused the ingredients to be absorbed into the skin and the lymph nodes and weren’t able to be released because antiperspirants kept you from sweating, thereby letting them sit and mutate in the body. Also according to the information was spread, men didn’t get breast cancer as much because they don’t shave their underarms. Well, what about the men who do shave and still don’t get breast cancer? According to the National Cancer Institute, there has been no scientific evidence that these products actually cause cancer. They also say that it depends on which type of review and research you are doing, what ingredients you are focusing on. While there are those that are focused on parabens, a preservative, which allegedly mimics estrogen in a woman’s body, and while there are parabens found in some breast tumors, it is not indicated or proof that this is the cause of cancer. Even a relatively recent review showed that there was no evidence to suggest that aluminum used in antiperspirants increased cancer risks either. So while there is a history of a correlational study that shows a relationship between antiperspirants and breast cancer, it doesn’t mean that it’s a cause and effect. Again a correlational study only shows that there could be a relationship between two things, more than that there isn’t conclusive information to determine if there are a cause and effect. Parabens are a prominent ingredient in a lot of different products because it helps to preserve it and keep it fresher, longer. There is plenty of research out there regarding the correlation between parabens and breast cancer, so let’s look into that. 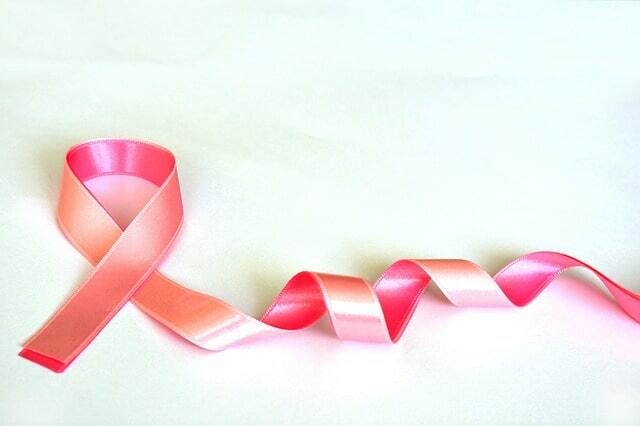 Researchers have done their worked and looked at multiple samples of breast cancer tumors. A study that was done in 2004 showed that while there are parabens found in some of the tumors, there is nothing to show that they are the definite cause of cancer. They also showed that while yes parabens do have some of the properties of estrogen, it’s not nearly as strong as the one that the body makes naturally. Also, the idea that they are looking at parabens in antiperspirants and deodorants only is misleading. There are parabens in plenty of other products as stated above such as lotions, makeup, and some foods. So knowing if the parabens in antiperspirants are the cause is something that cannot be definitively stated or proven, especially considering that up to 99% of people have parabens in their urine. So what does that say about it causing breast cancer? Another interesting fact is that the FDA stated that most of the major brands that you see of deodorant and antiperspirants do not contain parabens, so that negates the idea that the parabens are the cause of breast cancer in women. We’ll start with the idea that tissue studied from those with breast cancer did not show that there was a higher amount of aluminum than in those of people who didn’t have breast cancer or in normal tissue in the same person. The only reason you are told not to wear antiperspirants during a mammogram is that it can affect the readings and show up as a potential issue in your breast when that may not even be the case. This is why they are asking you to refrain from using it prior to your screening. The aluminum in antiperspirants is used to form the temporary plug in the underarm to prevent sweating at the skin’s surface. Like the parabens, aluminum can have an estrogen-like effect on the body, however, it’s still minimal because the estrogen in a woman’s body is much stronger than that of the products you are using. What are Your Real Risk Factors? Deodorants and antiperspirants are not the one thing that you should be worried about. There are plenty of other factors that can contribute to your risk factor for getting breast cancer. These include age, family history, personal history of benign tumors, genetics, obesity, alcohol consumption, and being Caucasian. While you can’t do anything about genetics and family history, taking care of your health is really important to also have healthy breasts. Just like a lot of other conditions that people are affected with, the better you take care of your own wellbeing, eating higher quality foods, then you are inherently decreasing your risk for cancer. If you are at a higher risk, discuss it with your doctor about preventative measures that you can take an early testing so that if necessary, the disease is caught early which can increase your chances of recovery. Is Dove Deodorant Aluminum Free?